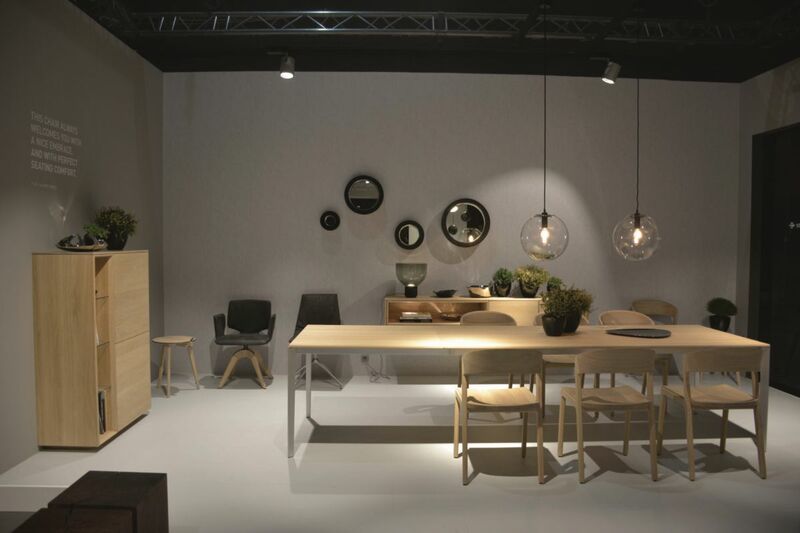 We’re always excited to find new and interesting designs to talk about and new subjects to focus on and this year we came across this very cool furniture manufacturer from Austria called . 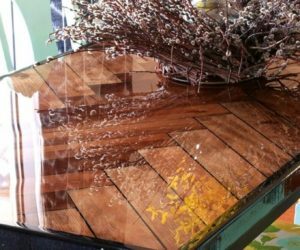 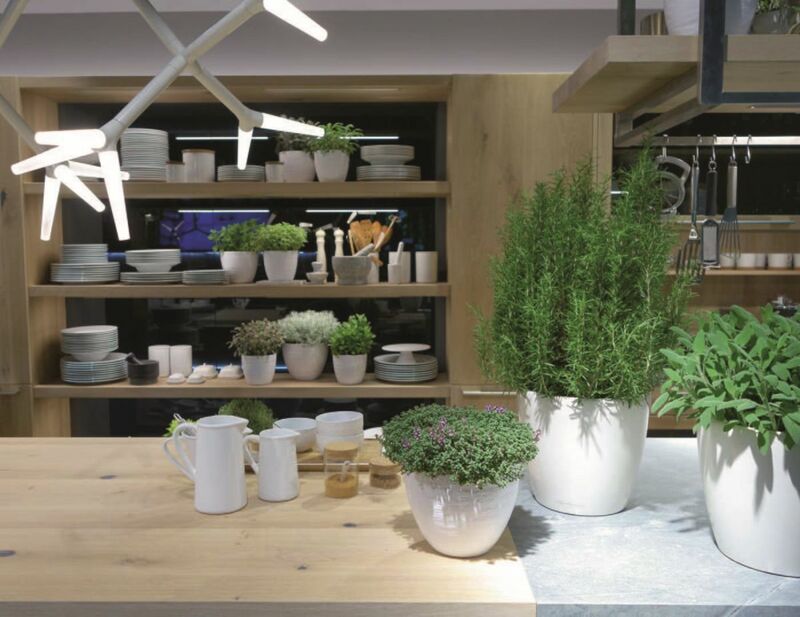 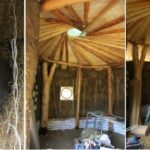 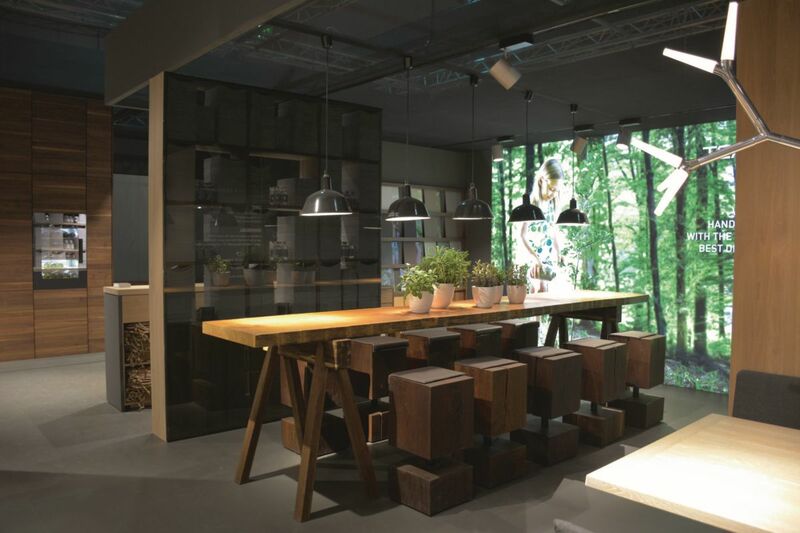 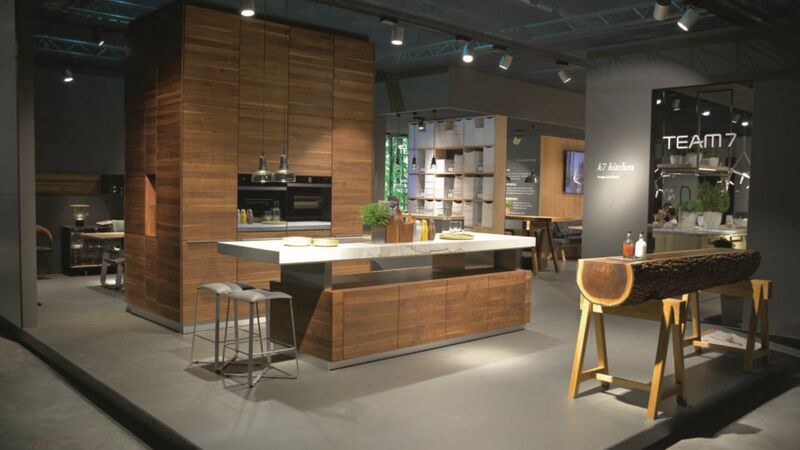 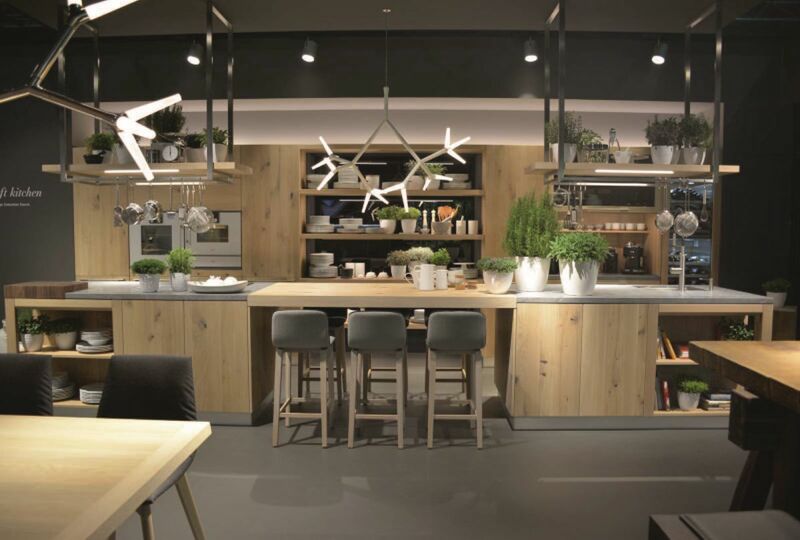 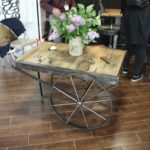 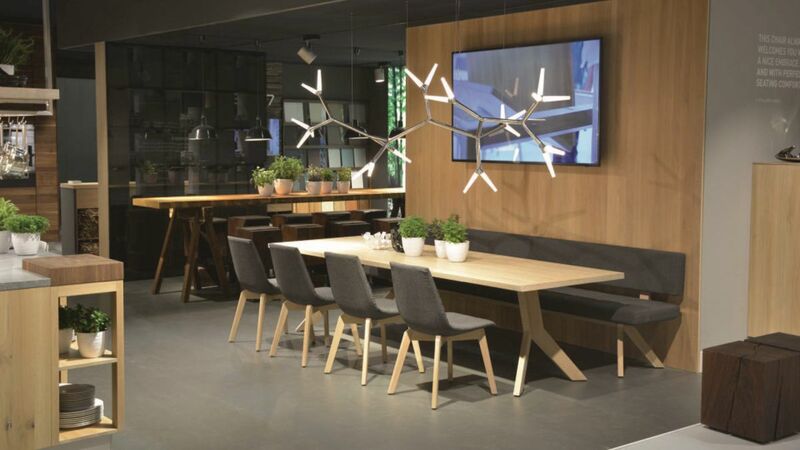 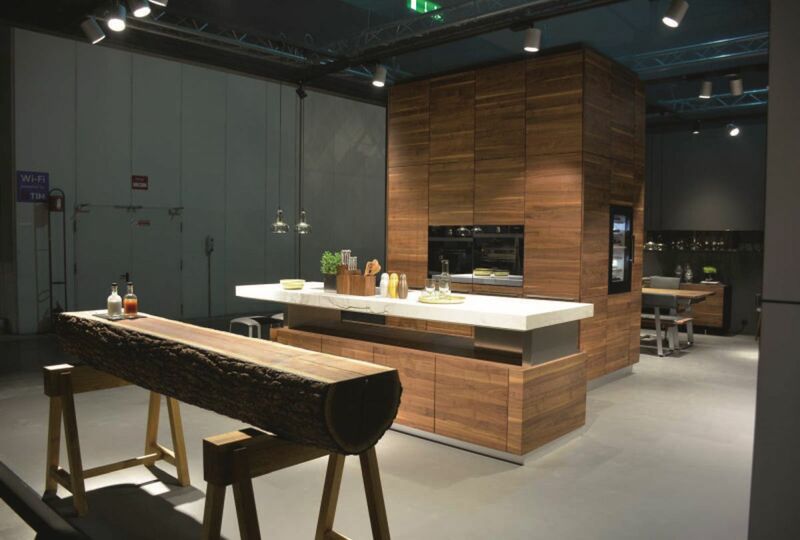 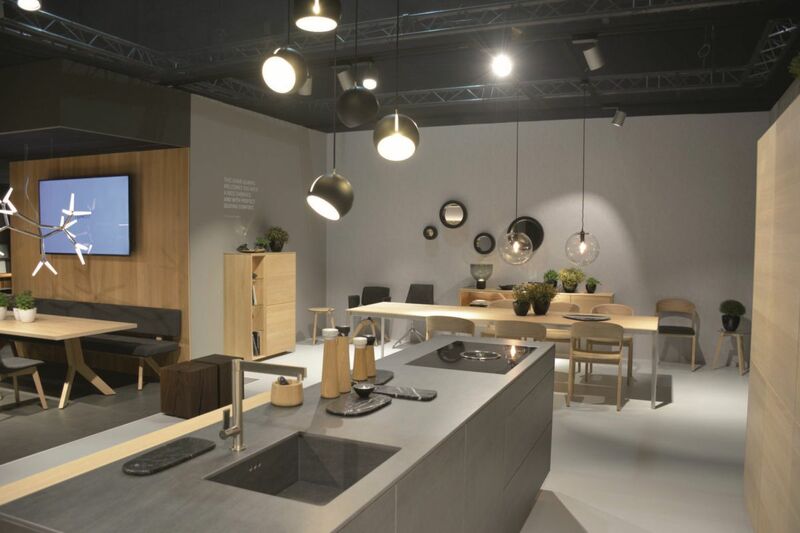 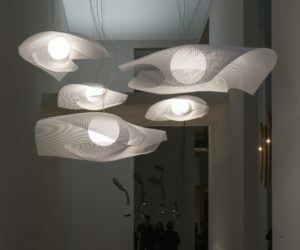 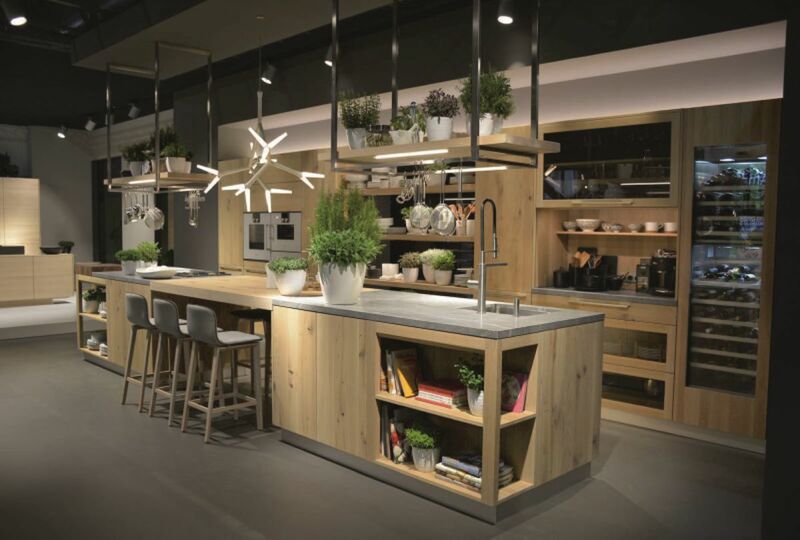 We first discovered their beautiful designs at EuroCucina 2018 and we were very impressed by how each piece of furniture managed to bring people closer to nature in a very subtle manner. 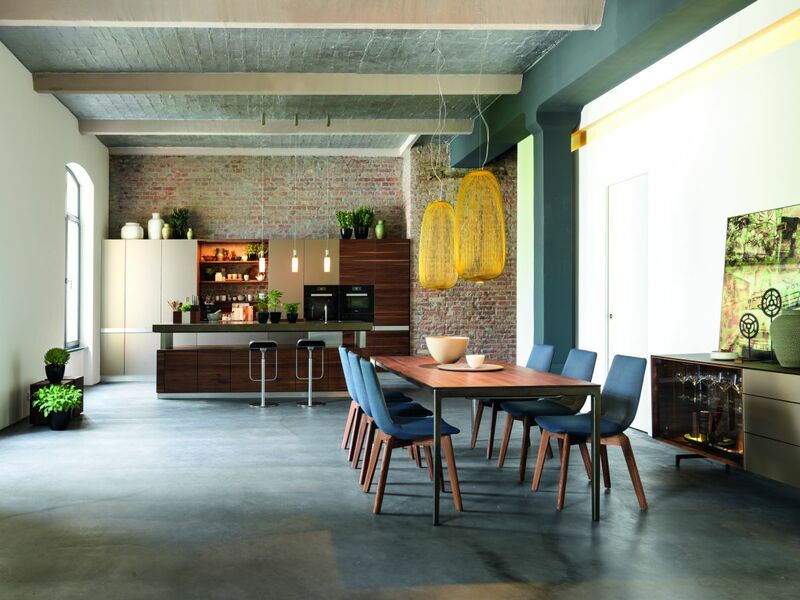 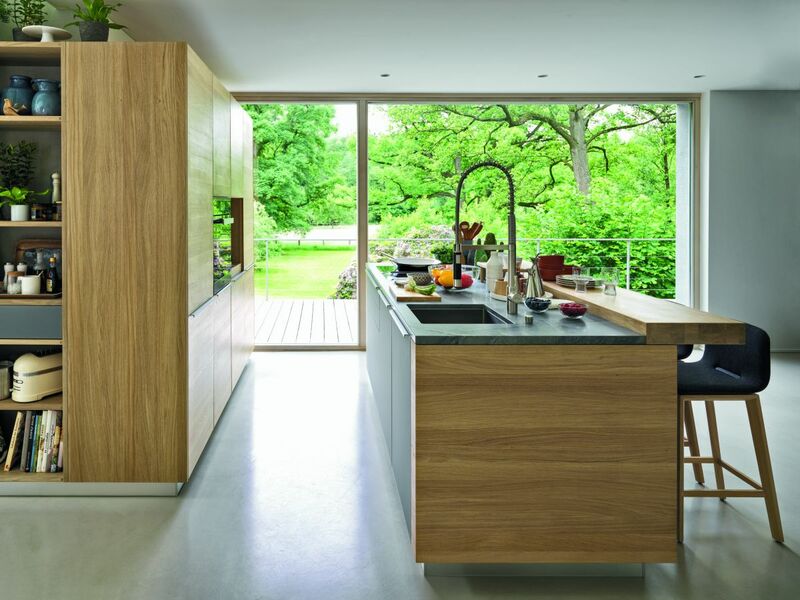 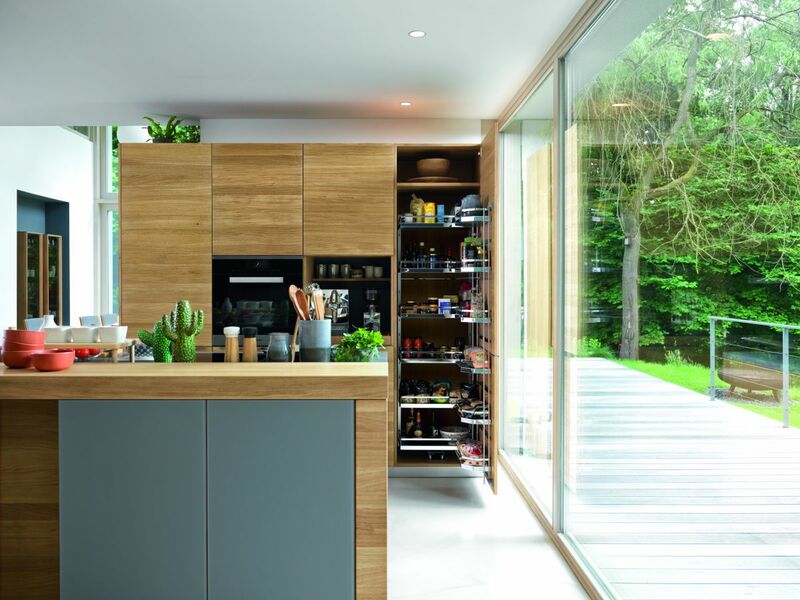 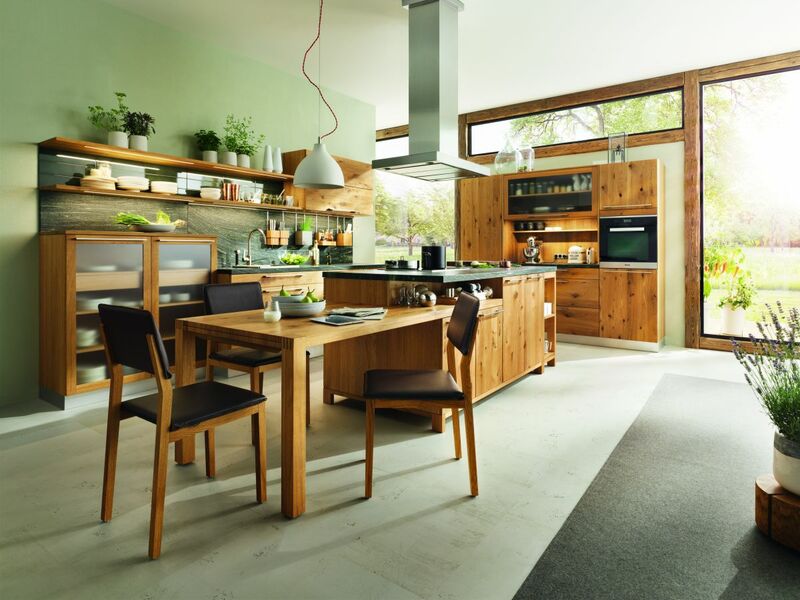 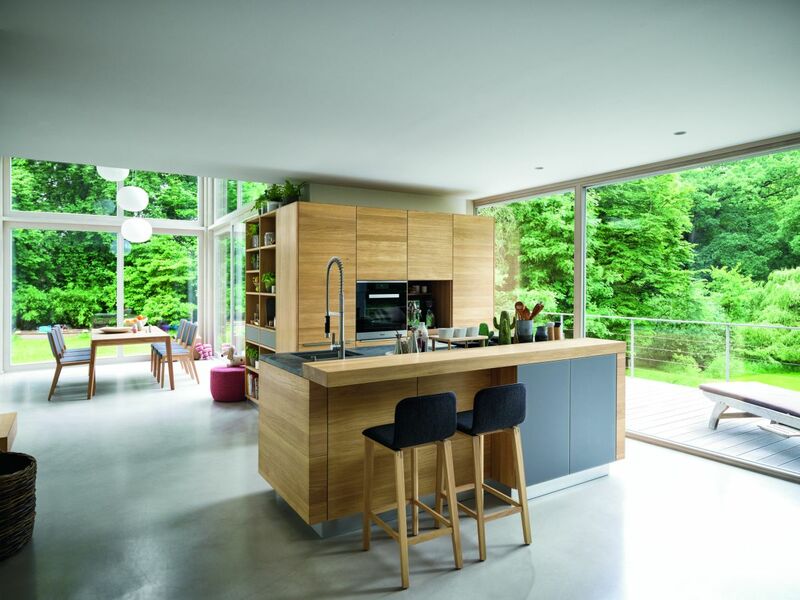 Today we’re having an in-depth look at all the wonderful modern kitchen designs and ideas Team 7 has to offer at this moment. 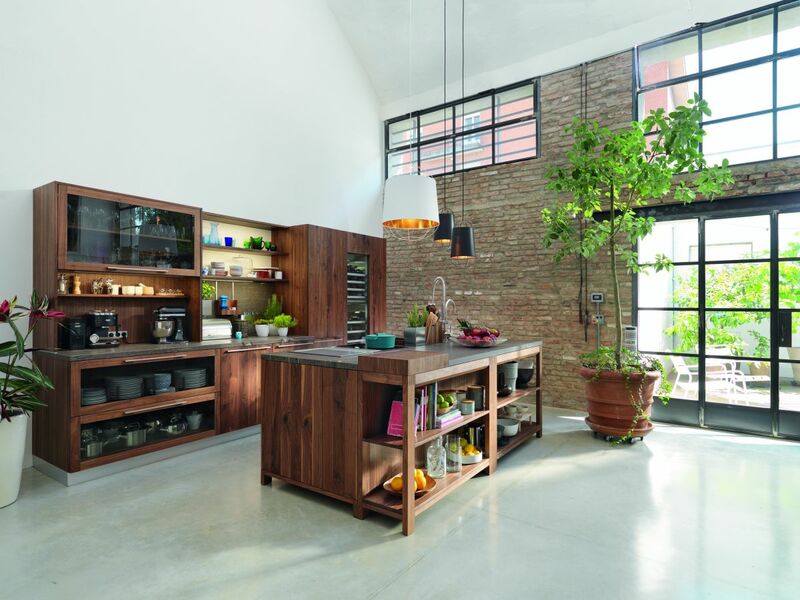 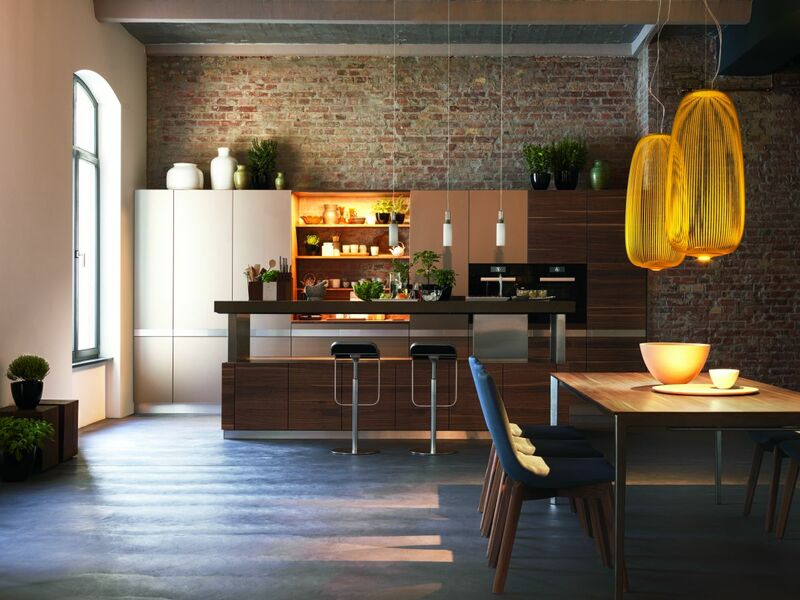 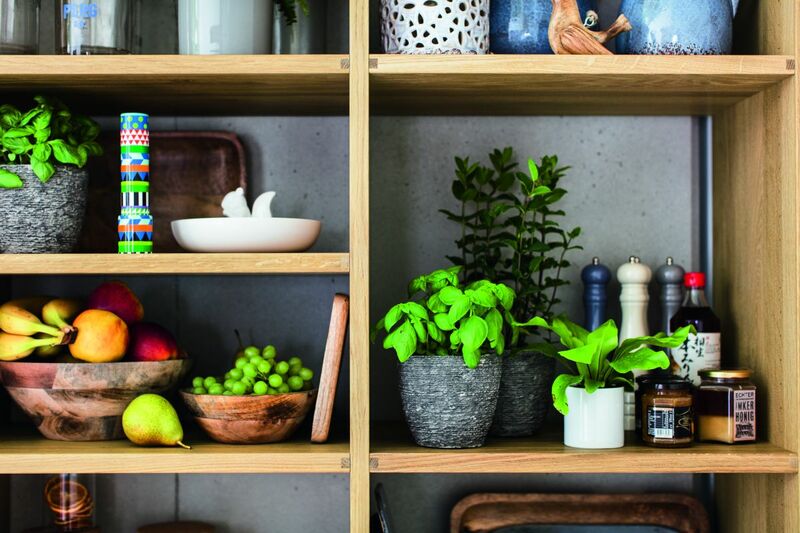 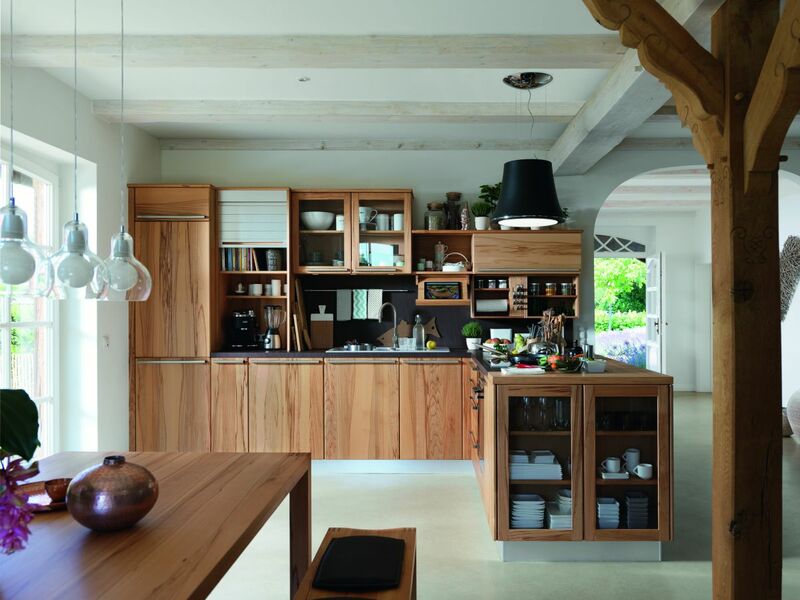 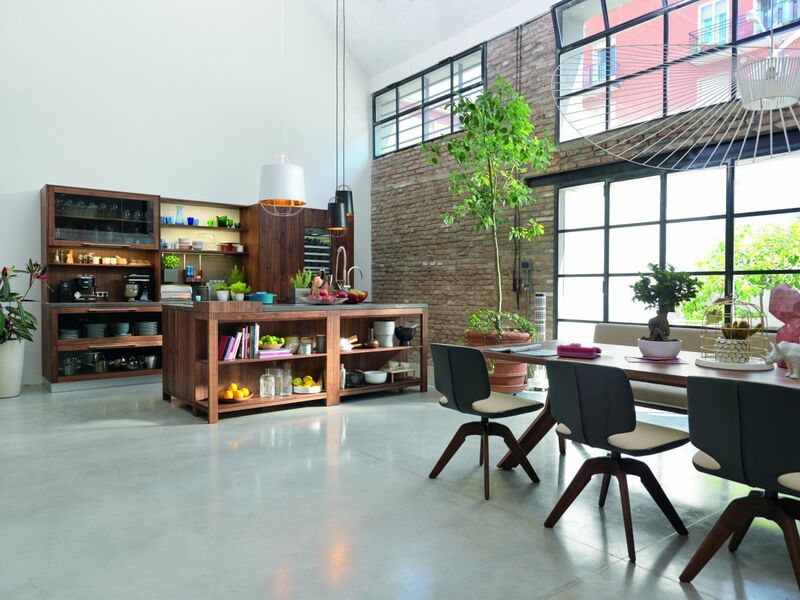 Team 7’s collection is at the top of our list of beautiful kitchens and for good reason. 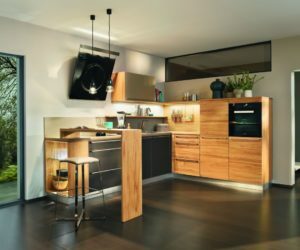 The series offers stylish furniture solutions for every type of kitchen, from the small and simple kitchenette to the luxurious eat-in kitchen. 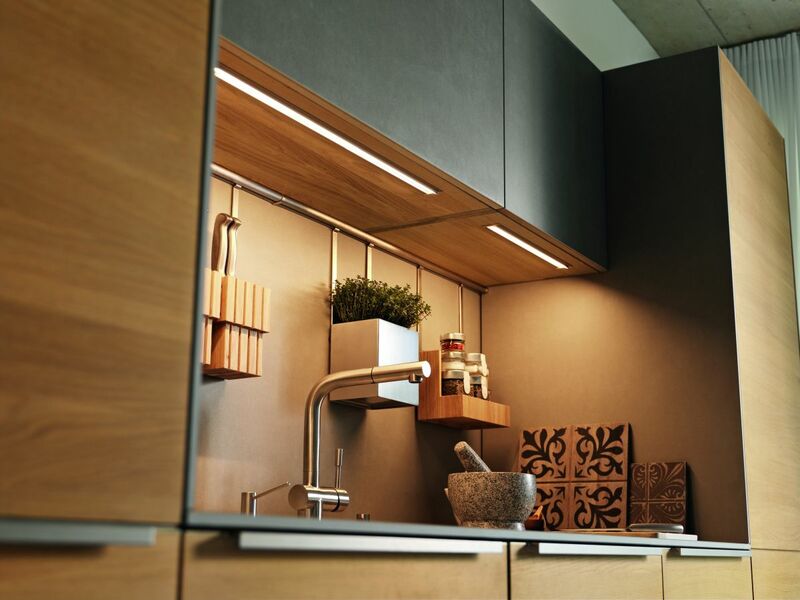 Numerous configurations are possible as well as several different options for the little things like the handles, LED lighting and the cabinet fronts, showing that the attention to detail is something the company is proud of. 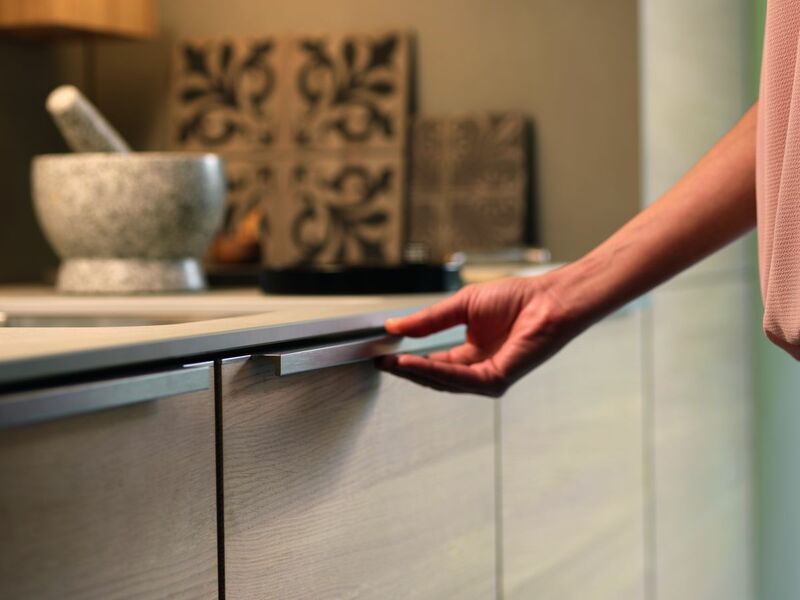 All these details allow each customer to give their kitchen a personal touch and to make it fit their style as best as possible. 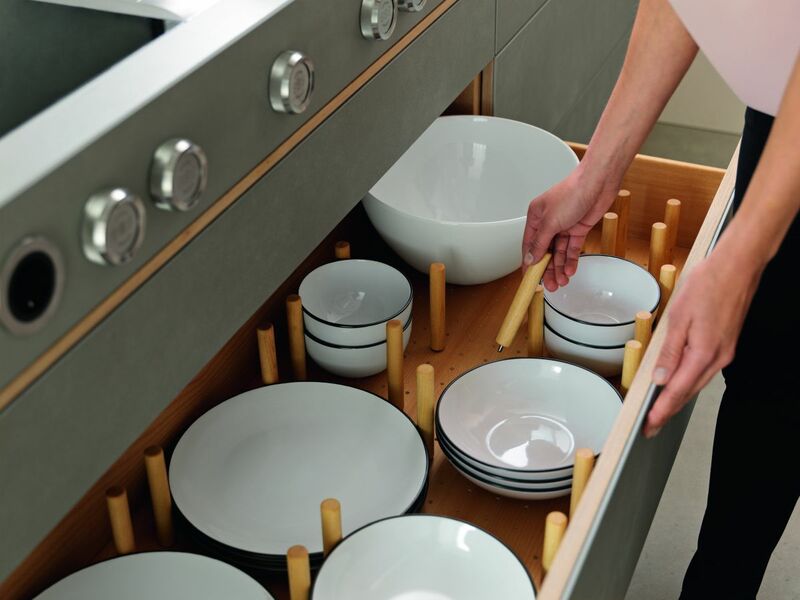 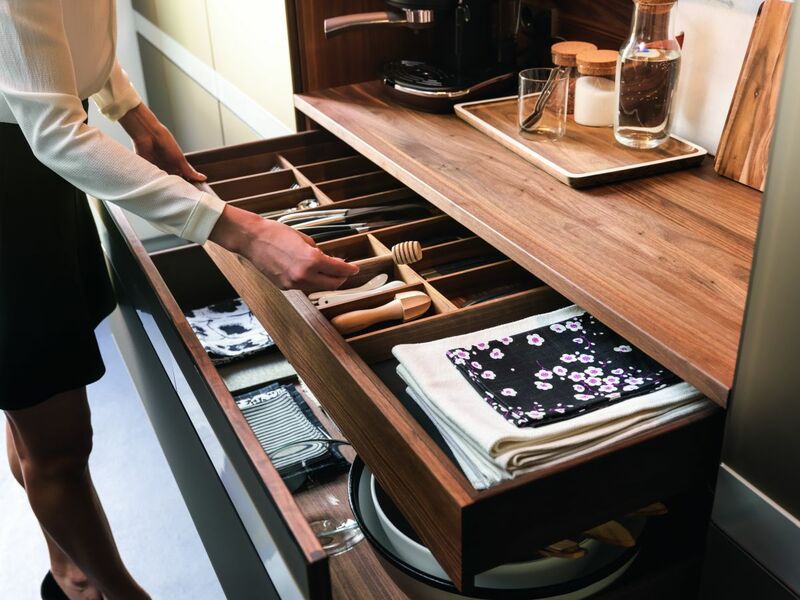 The incredible attention to detail is also reflected in the numerous hidden perks of the Linee kitchens such as built-in outlets, drawer organizers and very well-organized cabinet interiors for maximum storage and functionality. 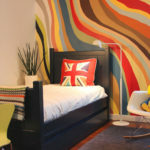 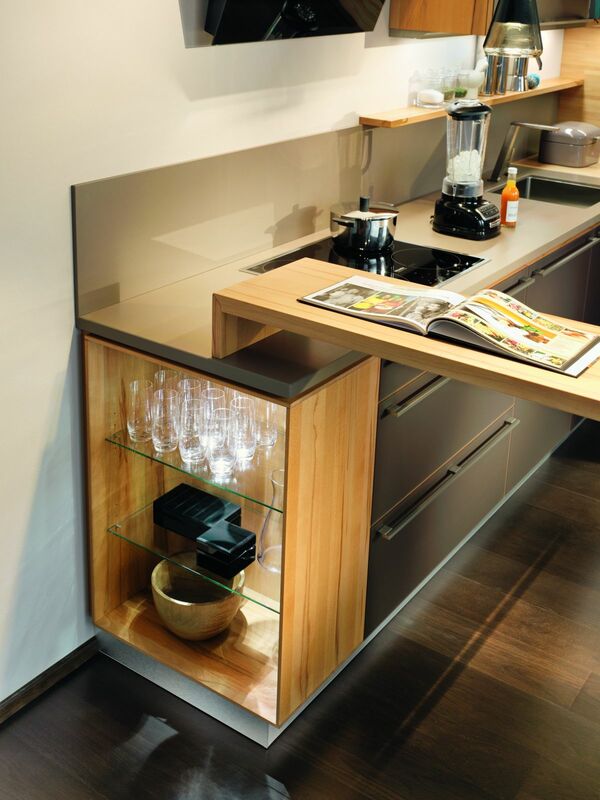 The rear panels are available in solid wood and in colored glass. 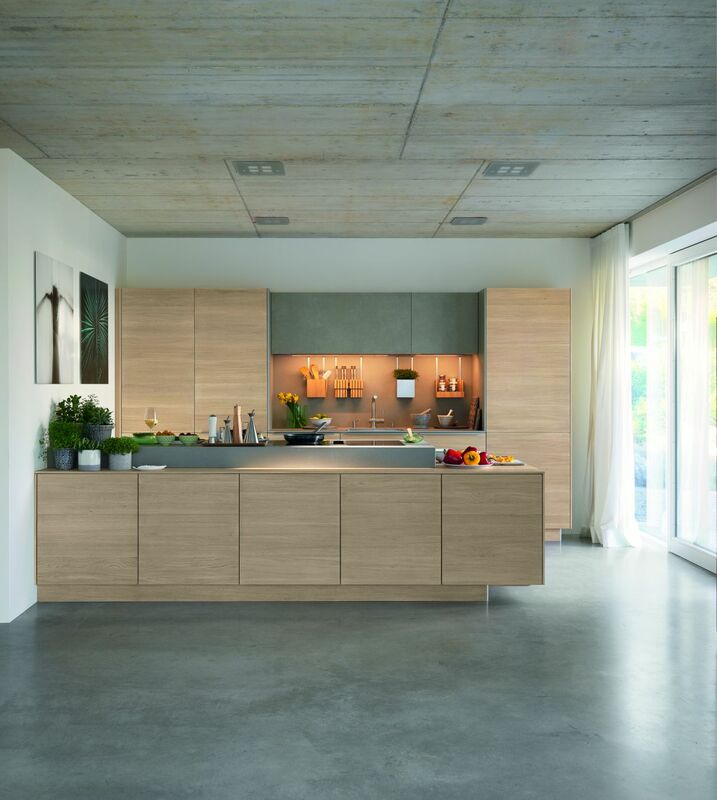 Perfect for open kitchen floor plans, the series features a wonderful blend of simplicity, function, luxury and refinement. 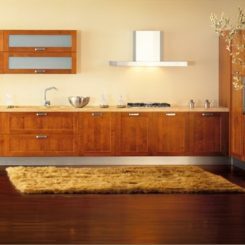 The island is particularly interesting in this case. 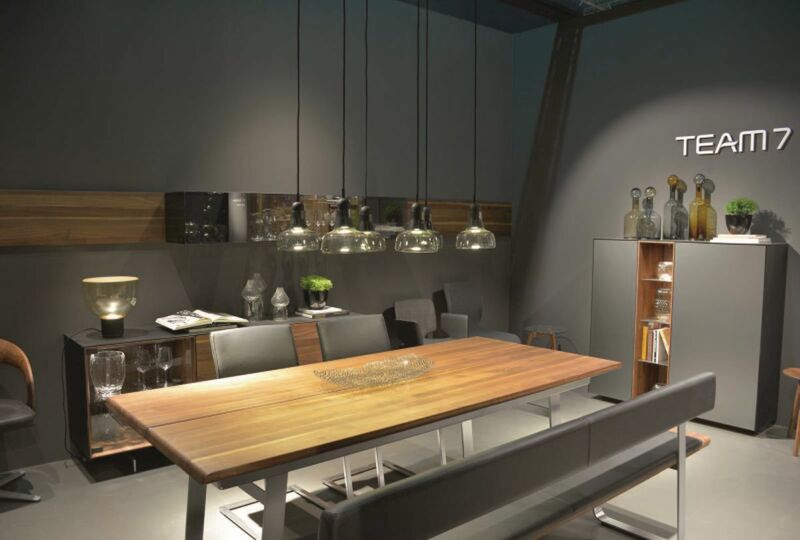 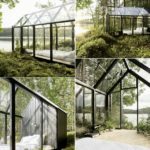 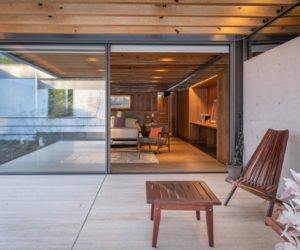 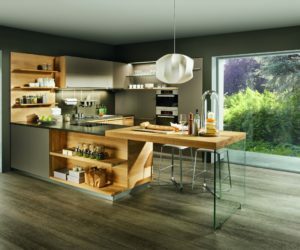 It’s meant to double as a divider between the kitchen and the living and dining areas and its design is simple, compact and multifunctional. 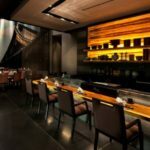 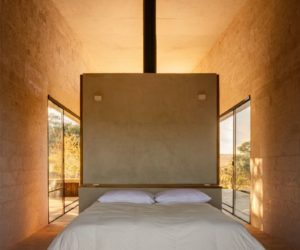 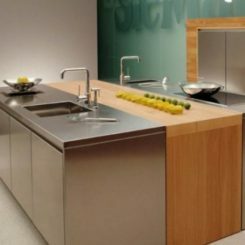 Notice the difference in counter heights and the clever and seamless way in which the surface is organized into separate areas with separate functions. 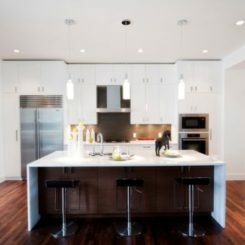 The base of the kitchen island and of the cabinets is recessed and this allows the units to appear to be floating and to look lightweight which is a nice detail considering how solid and compact their structures are. 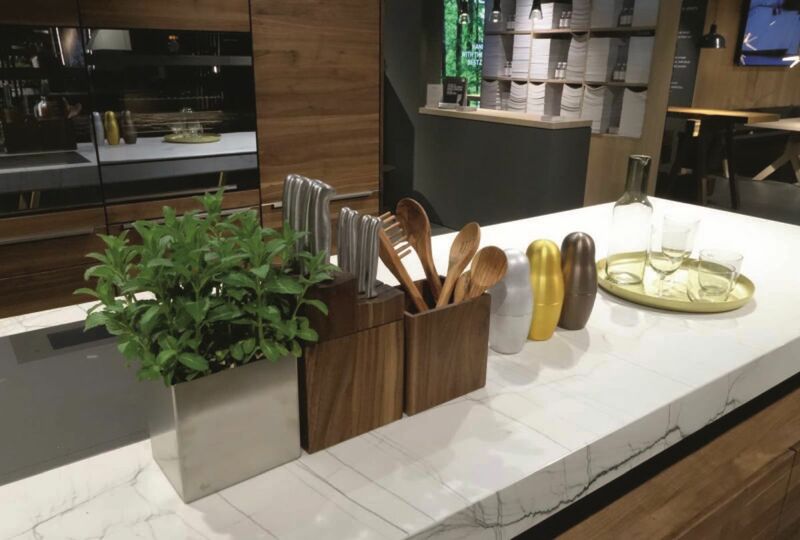 Like all the other collections from Team 7, the Filigno offers can be customized with a variety of different accessories including drawer organizers and backsplash accent lighting and storage modules. 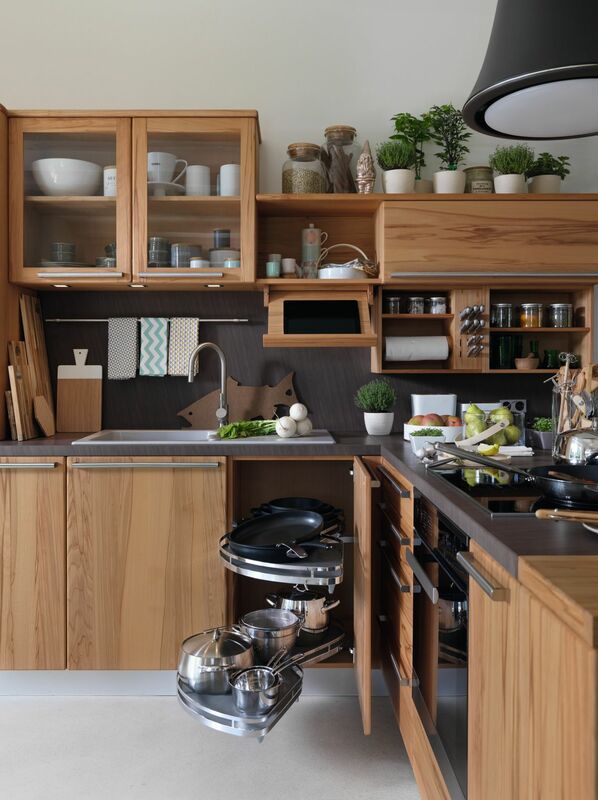 The Loft series is a bit more on the farmhouse kitchen side, although at its core the design principle is modern. 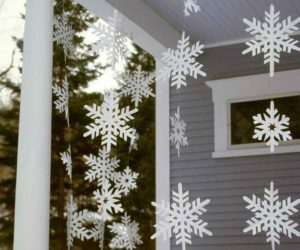 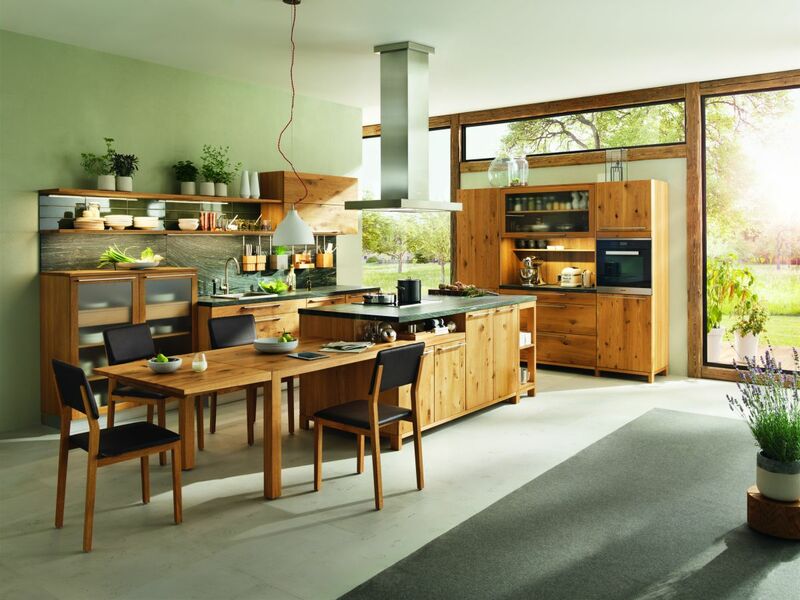 This collection is all about the love for wood and authentic craftsmanship, featuring a modern country cottage look. 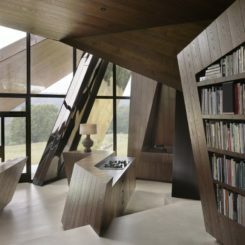 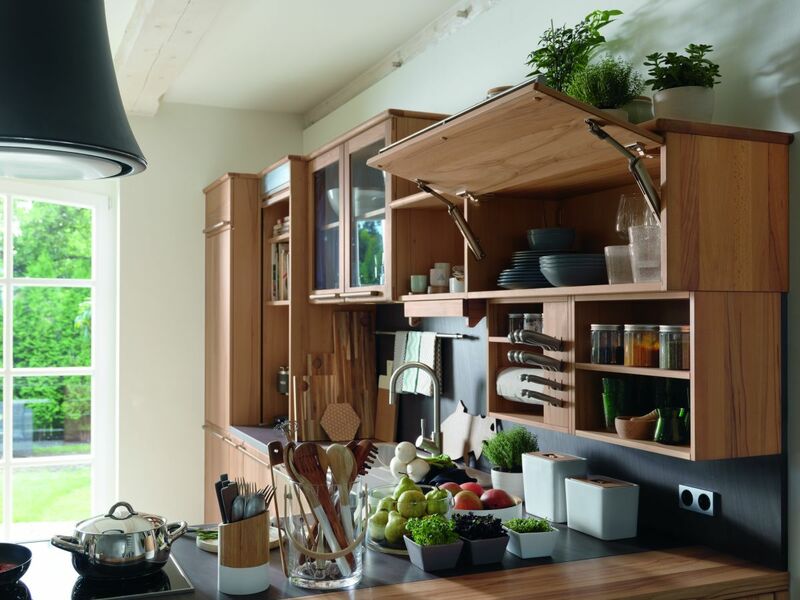 In this case the design is not as closed off and compact as with other series but instead is defined by a multitude of open shelves and low cabinet heights overall. 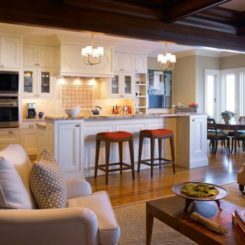 With this series the kitchen becomes a central gathering space for the home thanks to its welcoming, warm and cozy overall feel. 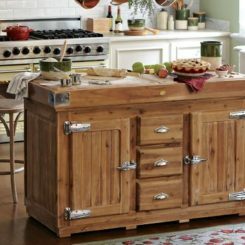 A kitchen island with seating is available, a perfect option if you want to set up an eat-in kitchen. 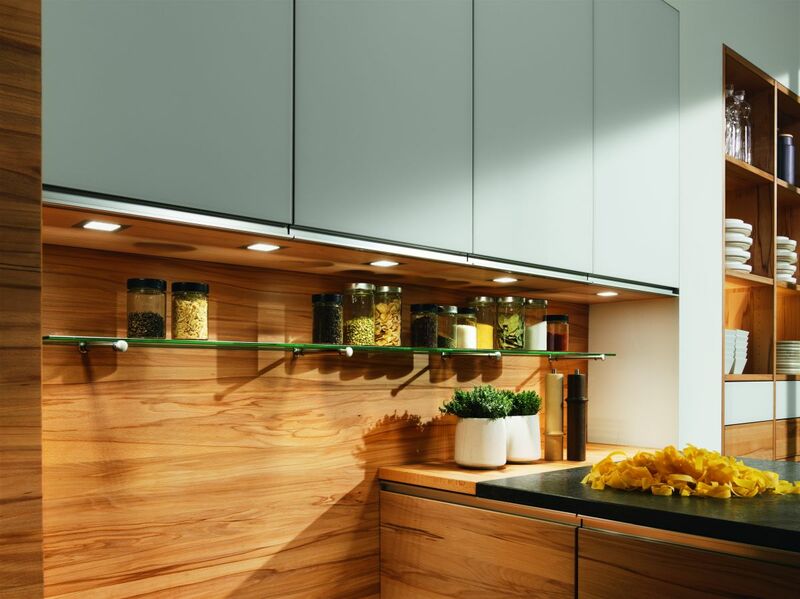 We should also mention a few key design details of the collection, such as the dark countertops and backsplash, the glass cabinet fronts and all the clever storage compartments. 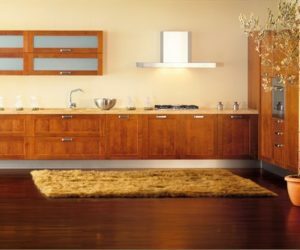 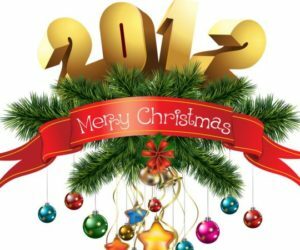 This is a very friendly kitchen series, with proportions and furniture pieces designed to turn the kitchen into a welcoming and enjoyable space and to minimize the intimating effect that some robust or tall cabinets or units tend to have on this space. 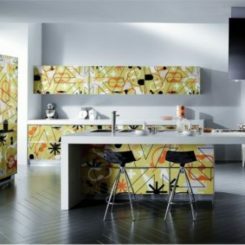 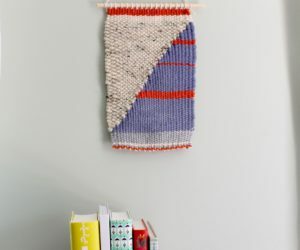 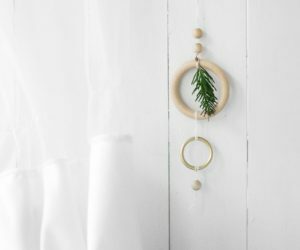 The pieces in this series are very similar to the Linee collection which we looked at earlier, being made from the same types of wood and featuring similar designs. 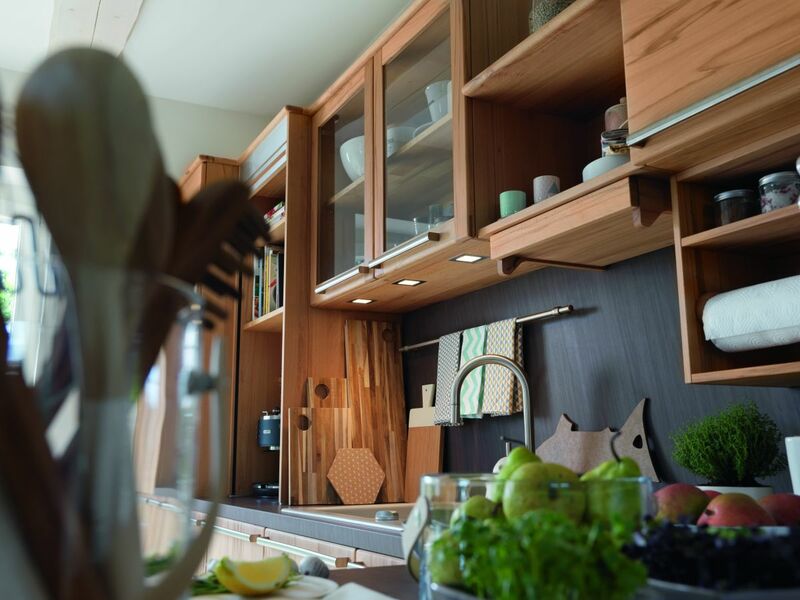 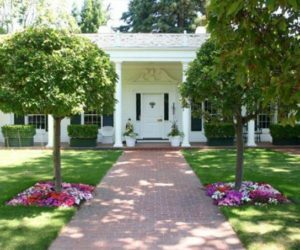 The is the ideal choice for first-timers, offering all the basic required features but also lacking certain details which would seem unnecessary to some. 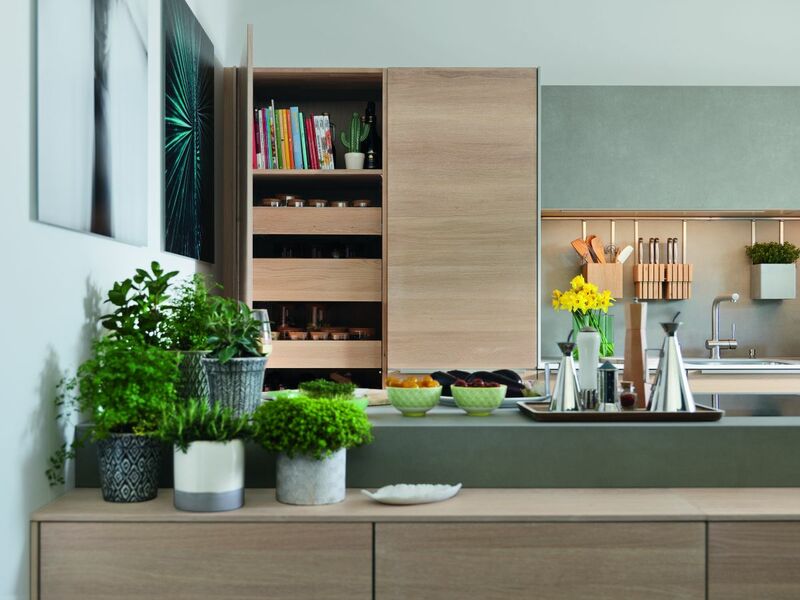 As you start to get familiar with the kitchen and all its features, there’s the possibility later on to rearrange the space and to combine the individual elements freely in order to make your kitchen even more practical and better-suited for you and your lifestyle. 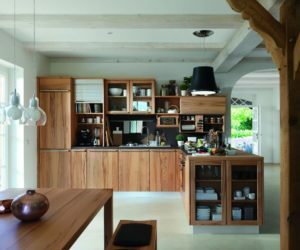 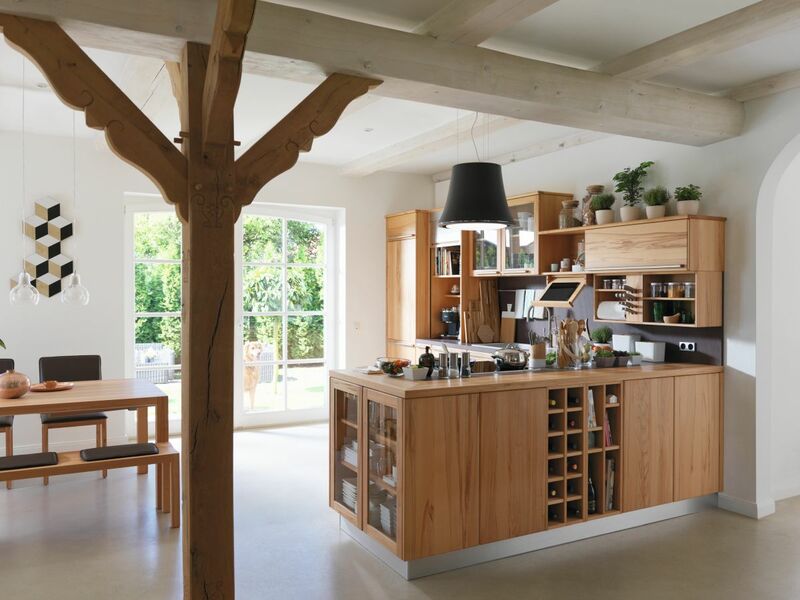 The is another example of how much functionality can be packed into a kitchen without compromising its beauty, appeal or user-friendly character. 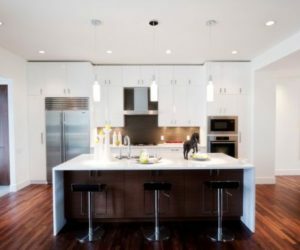 This kitchen has it all: a modern kitchen island with built-in storage, a wine rack and a very generous cooking and prepping surface. 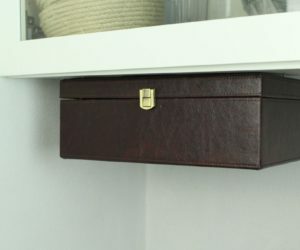 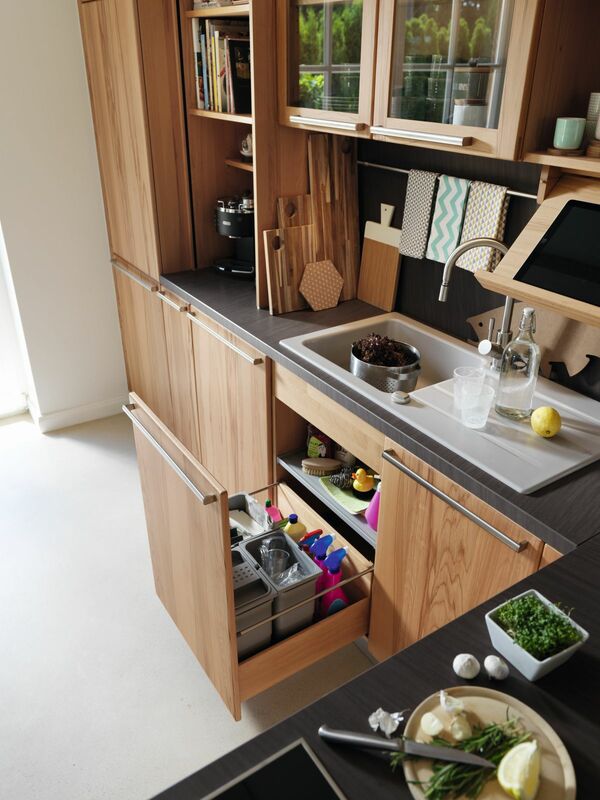 The other modules offer a well-balanced combination of open and closed storage compartments. 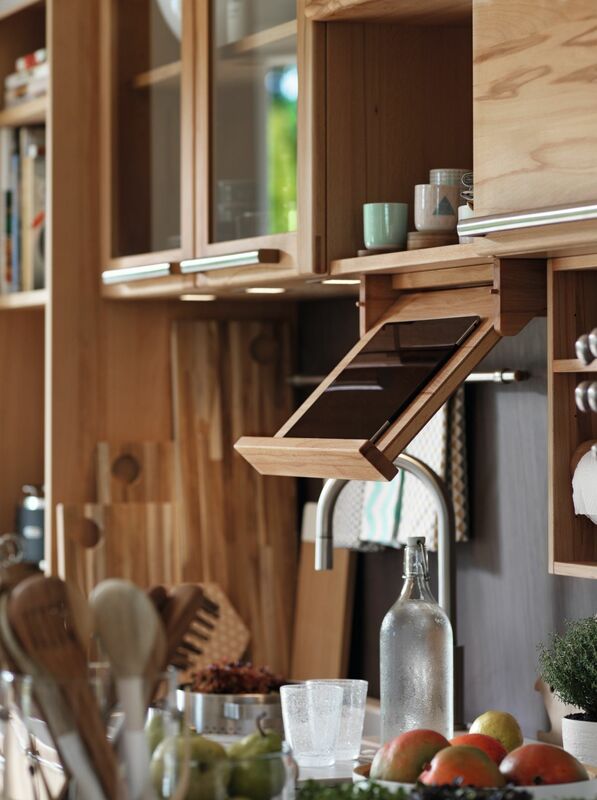 Notice once again the great attention to detail reflected in elements such as the vertical knife rack embedded into the cabinet module, the clever corner cabinet shelves and that fold-down/ book holder attached to the upper cabinet. 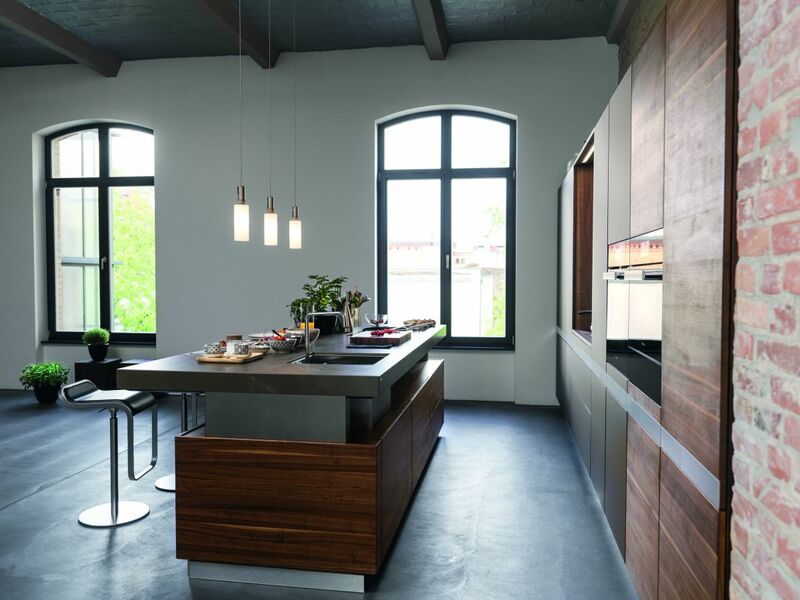 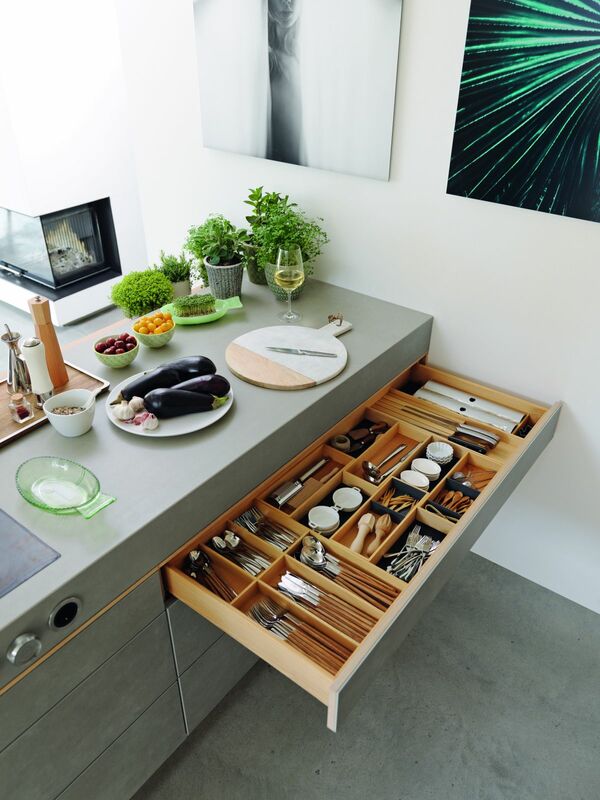 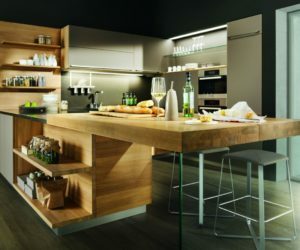 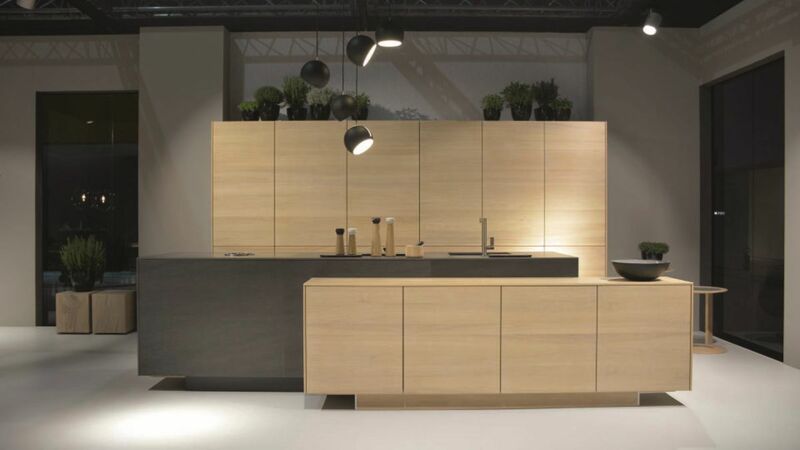 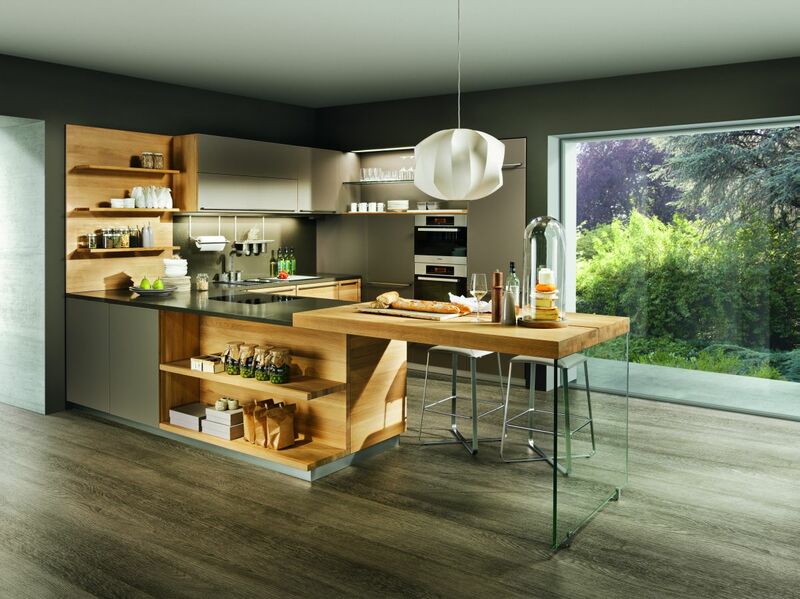 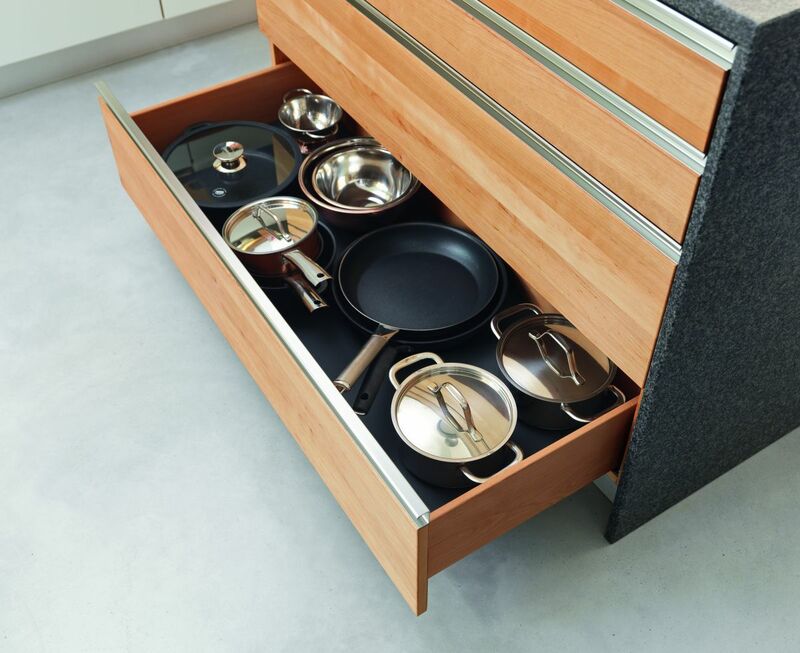 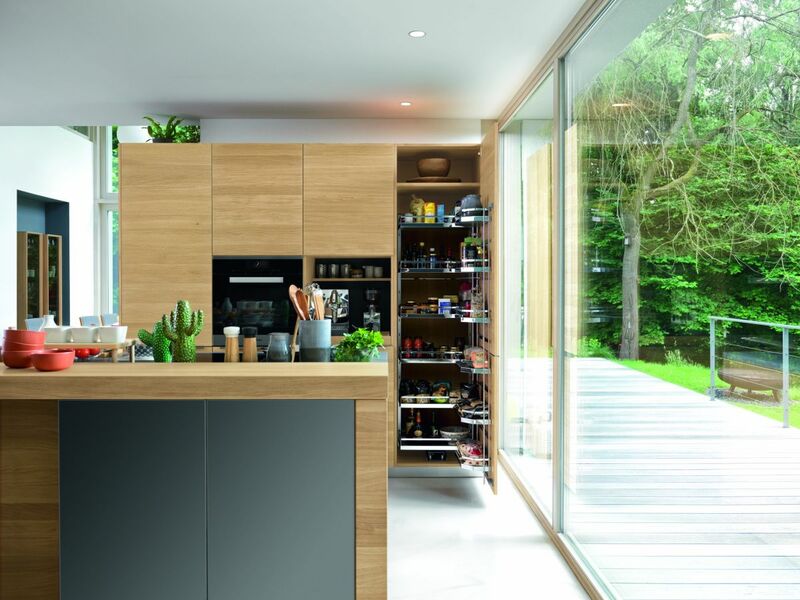 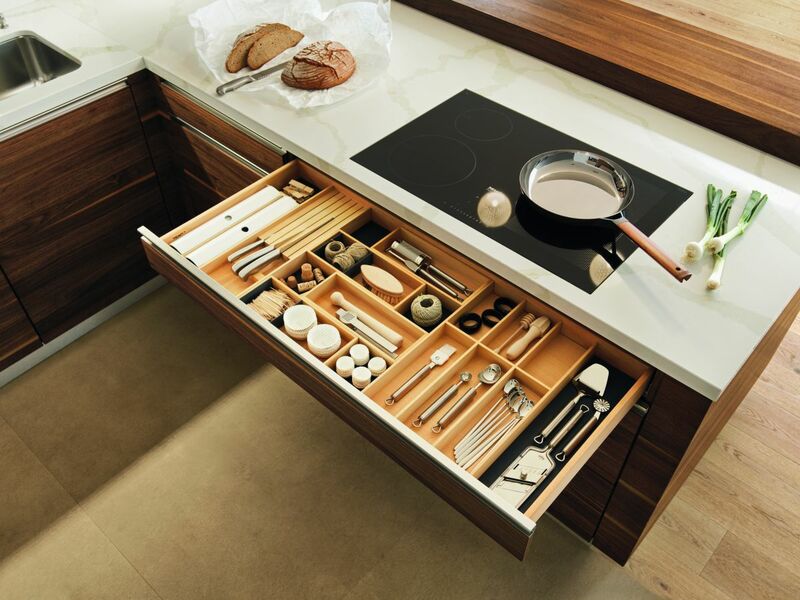 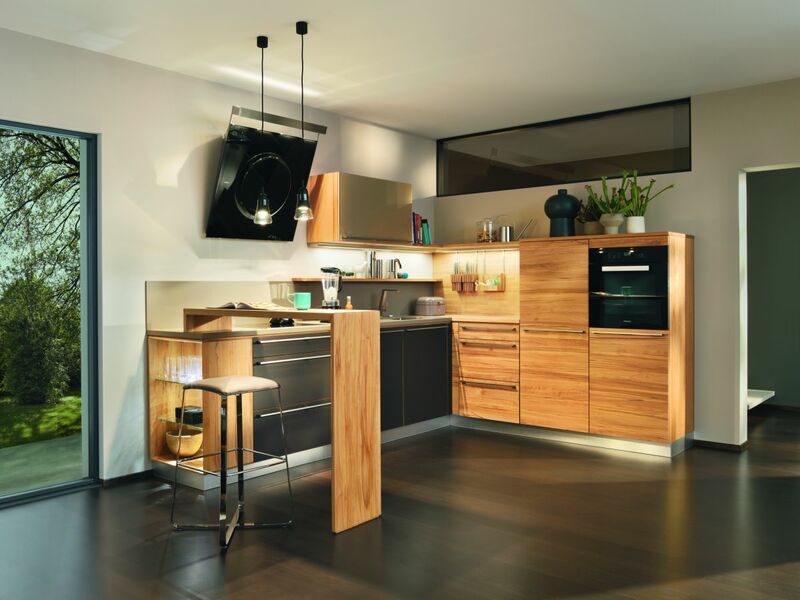 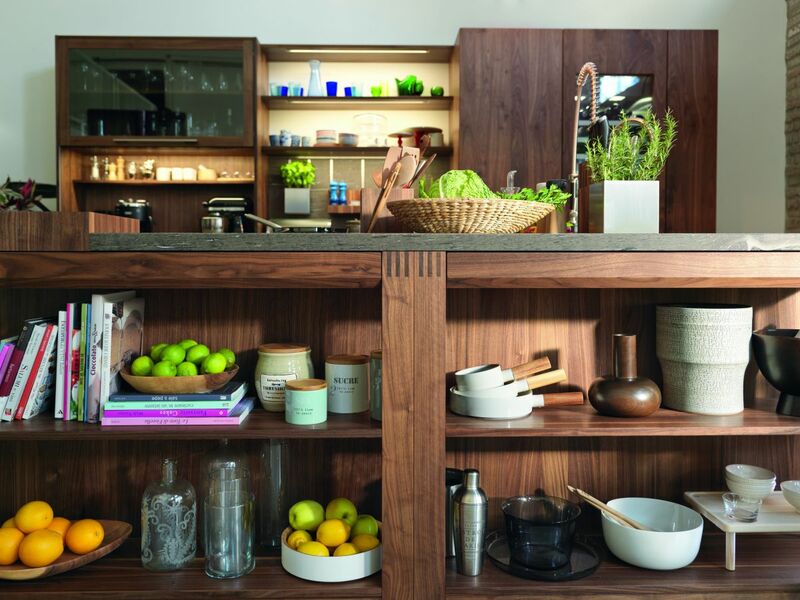 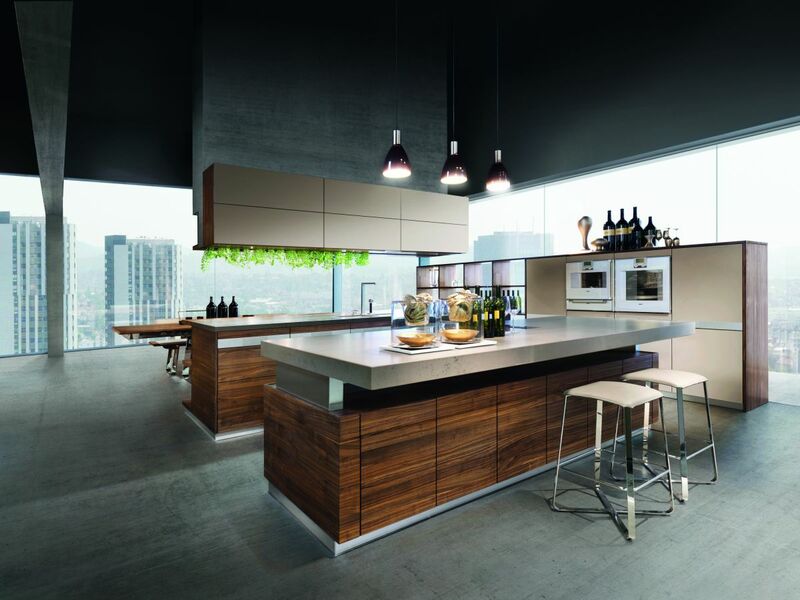 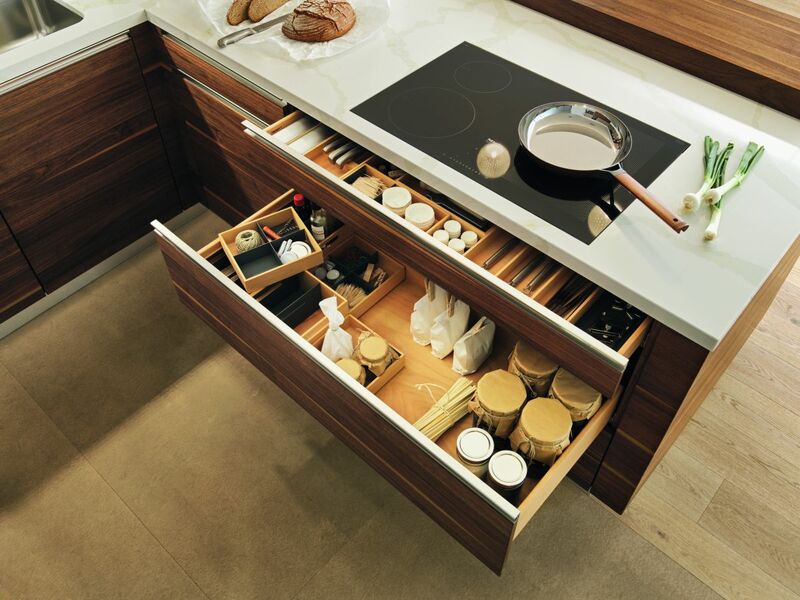 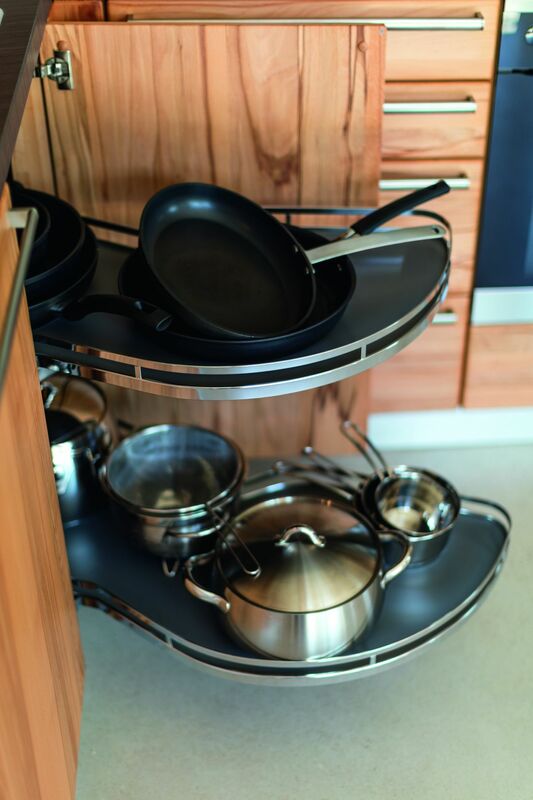 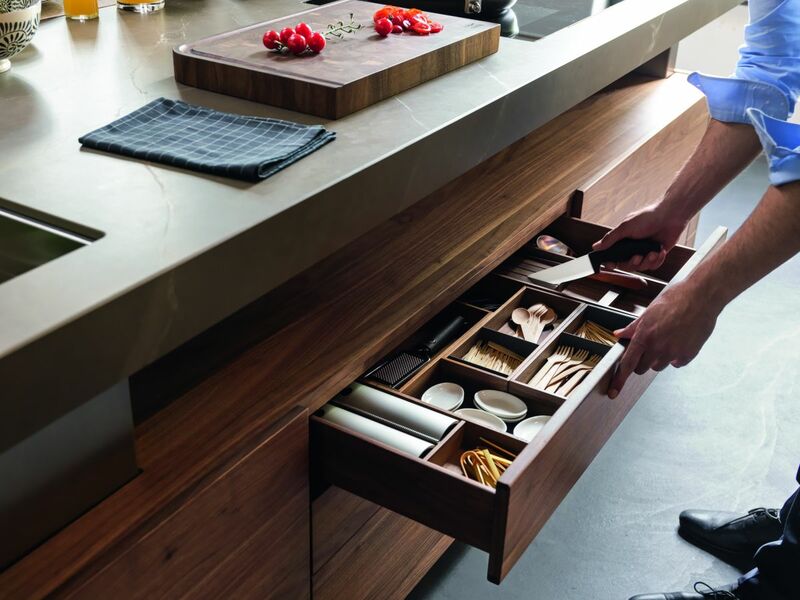 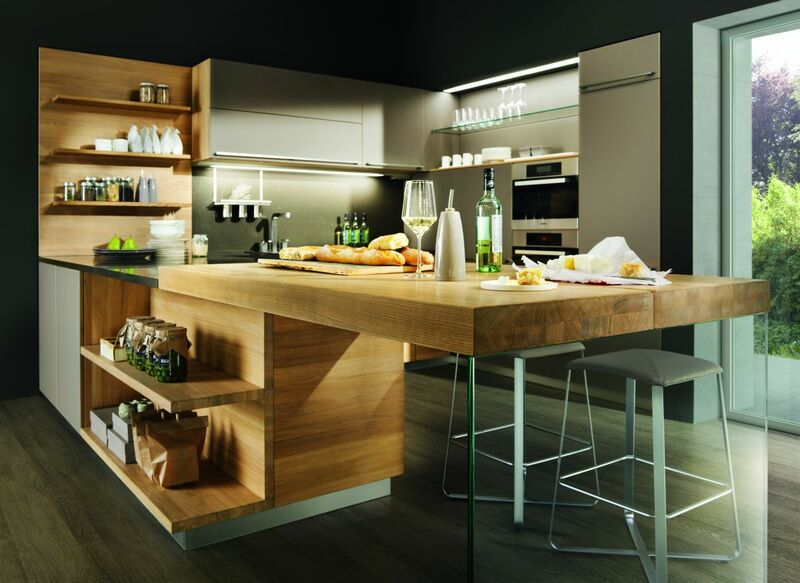 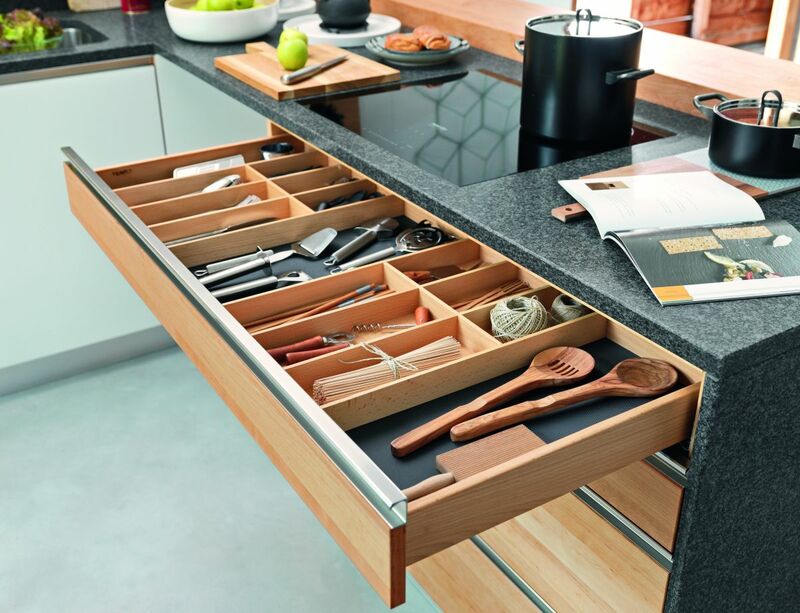 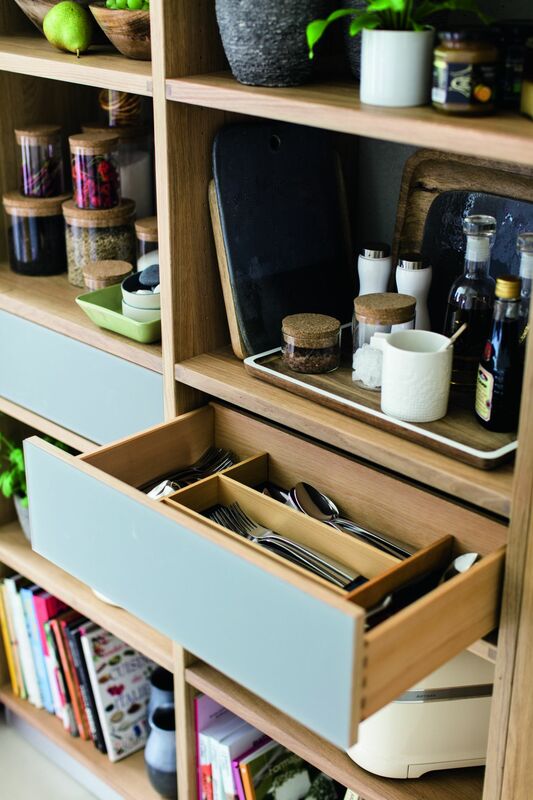 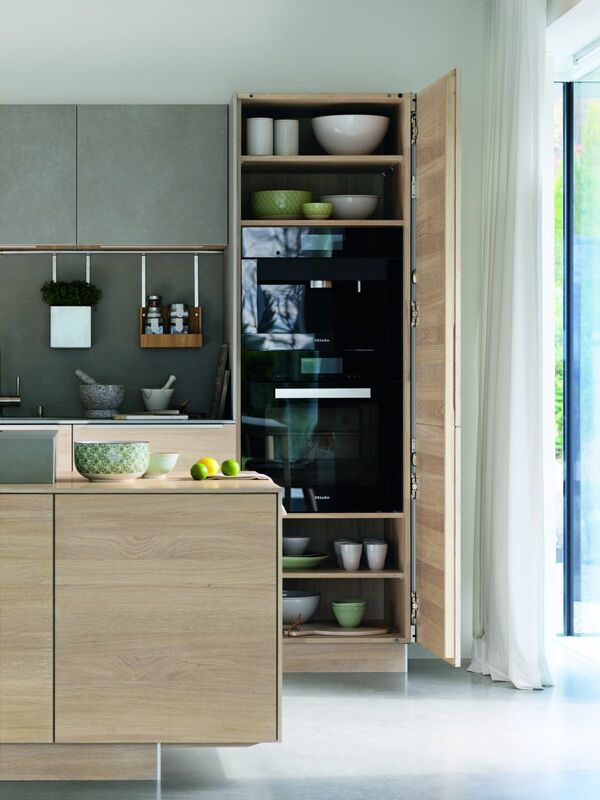 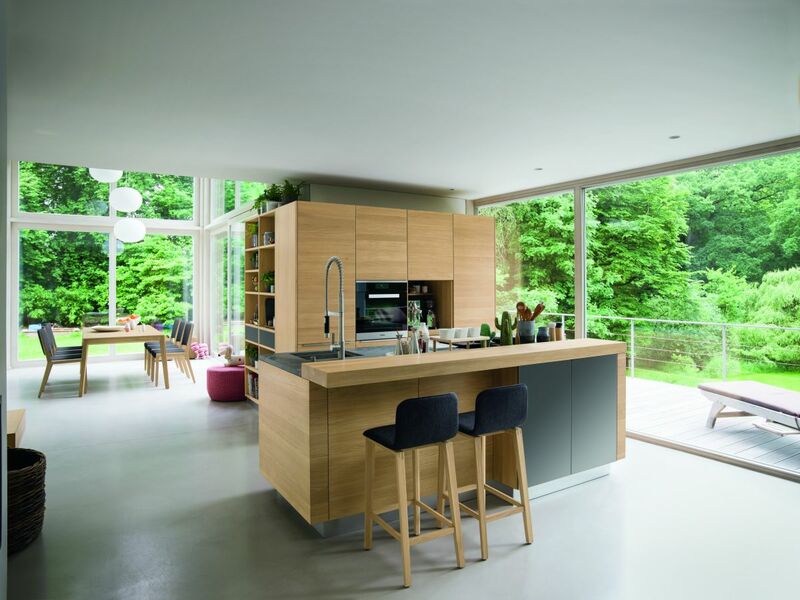 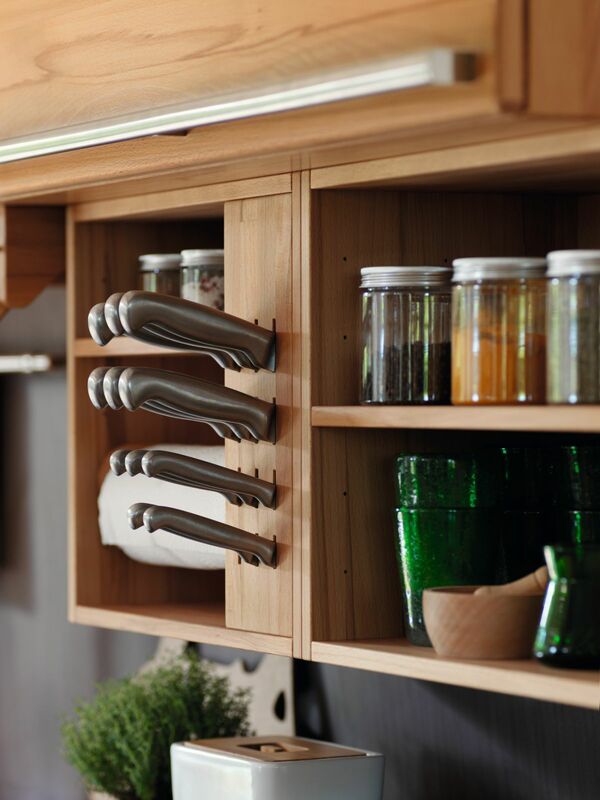 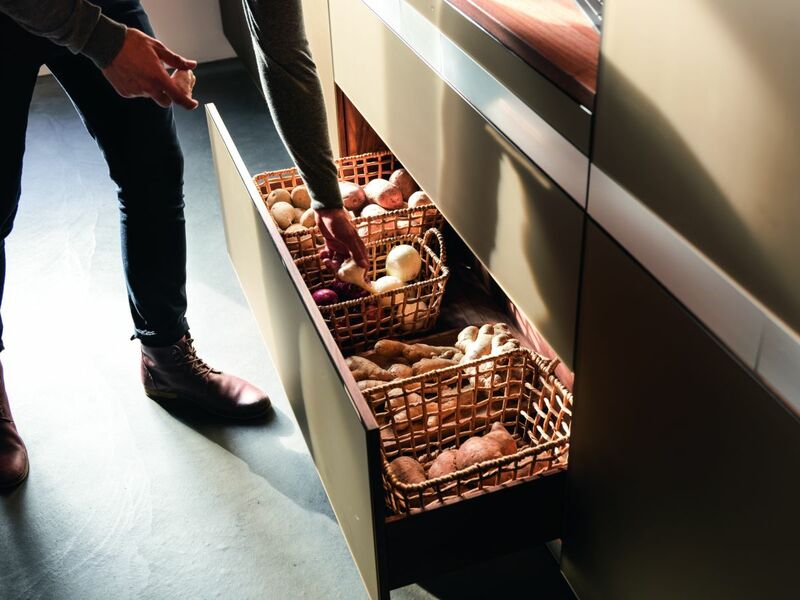 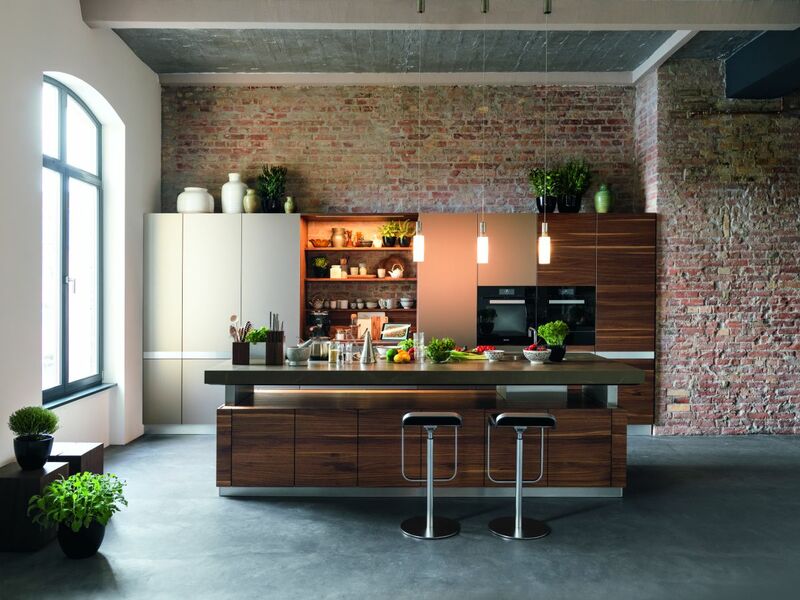 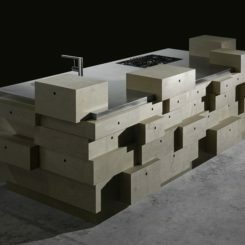 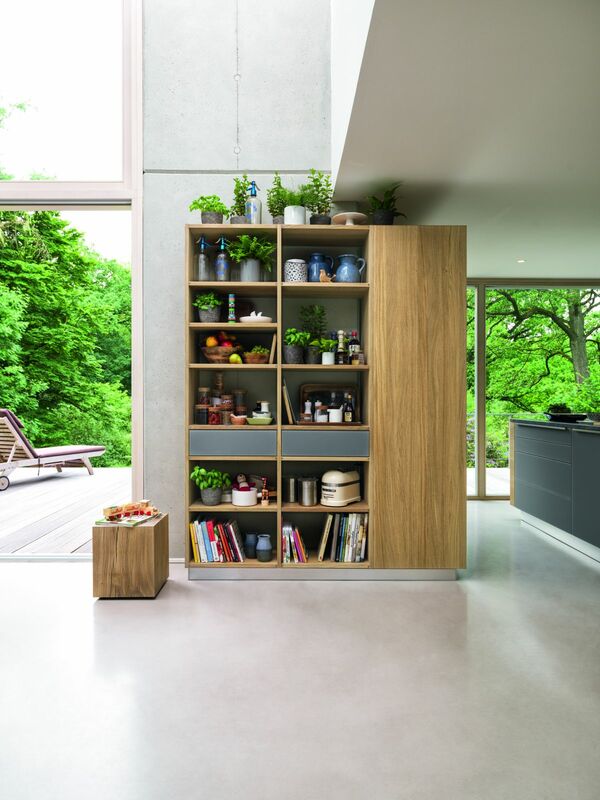 In addition to that, there’s generous storage that comes in various different forms and that translates into numerous customization possibilities, as each user can choose to make the Rondo kitchen their own in a unique way. 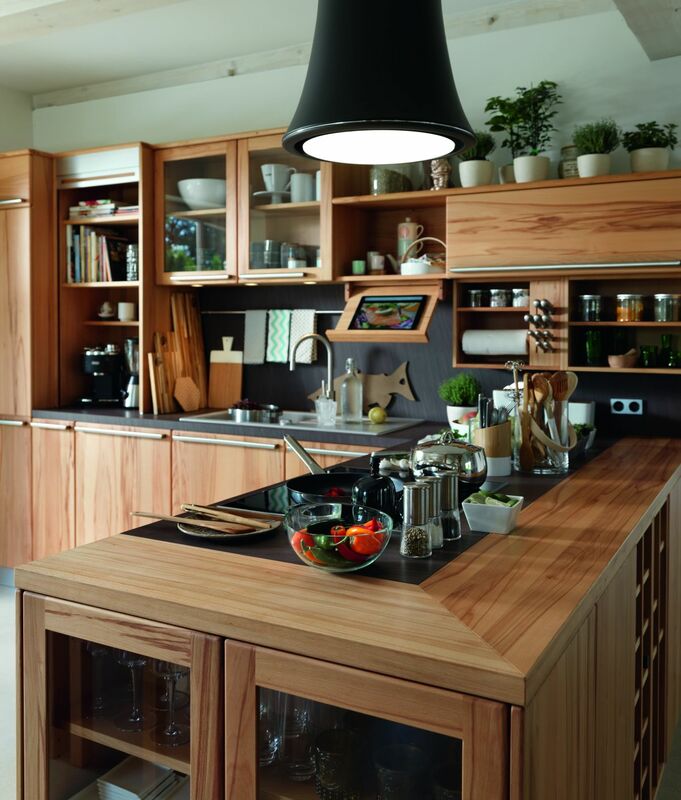 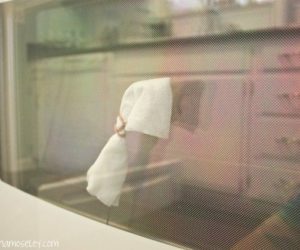 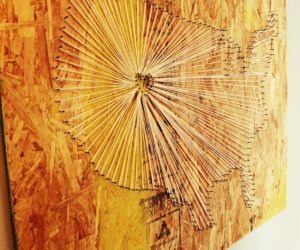 We definitely suggest considering this series for your next kitchen remodel. 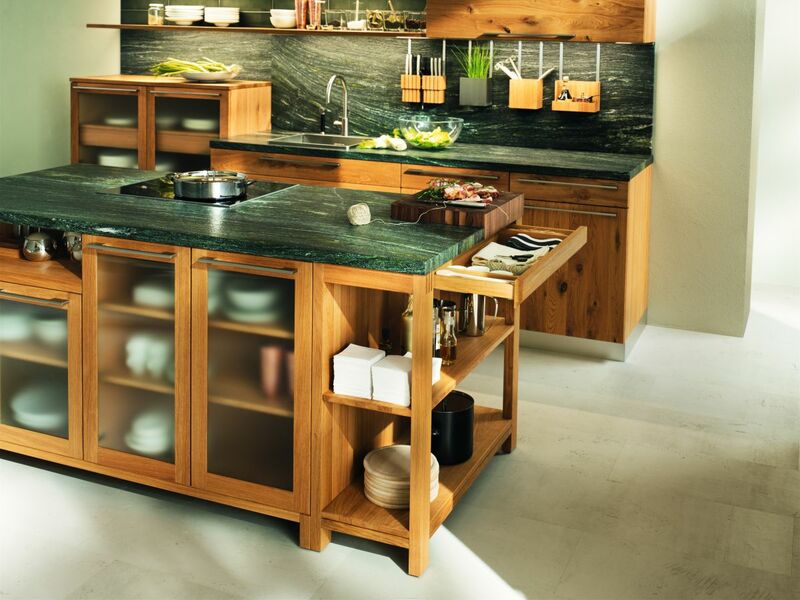 Featuring elegant two-tone kitchen cabinets and a height-adjustable island, the is the very definition of what a modern kitchen should look like. 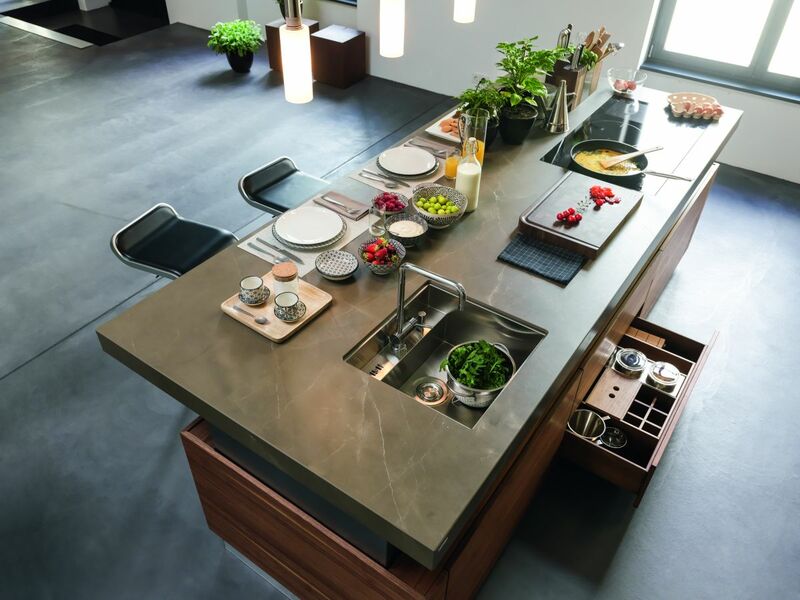 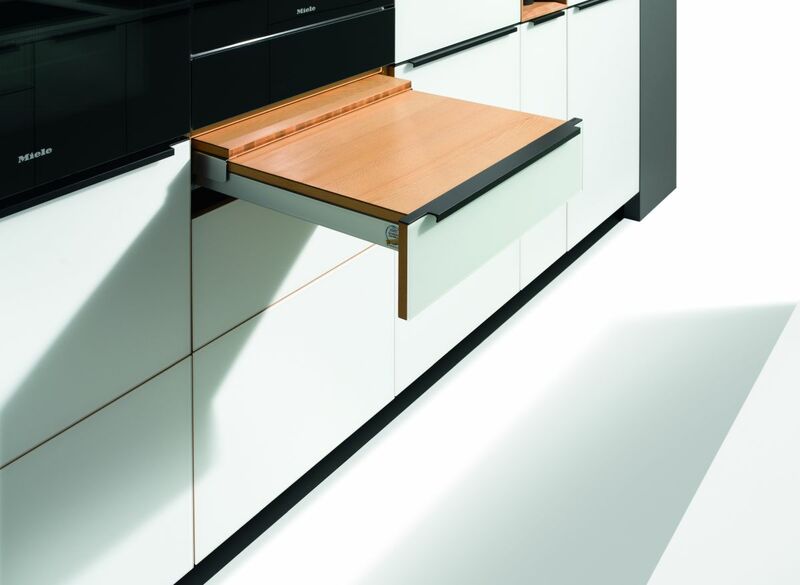 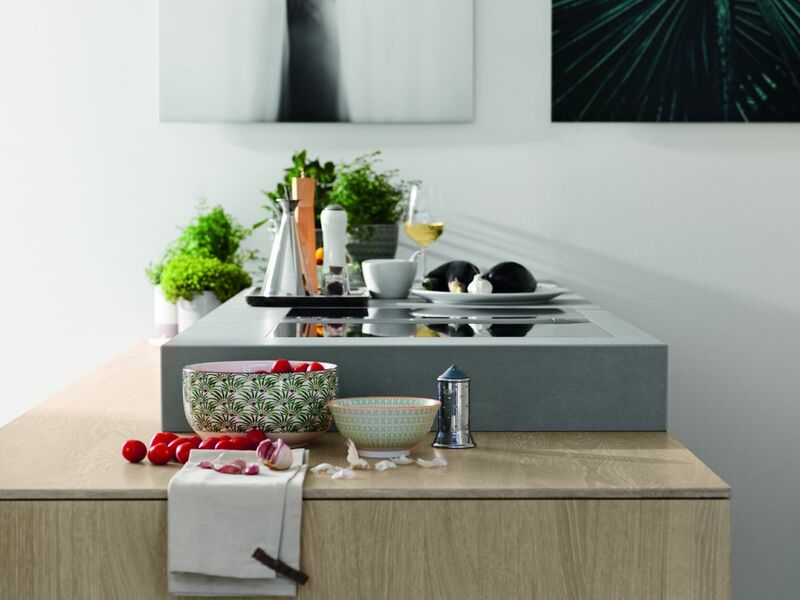 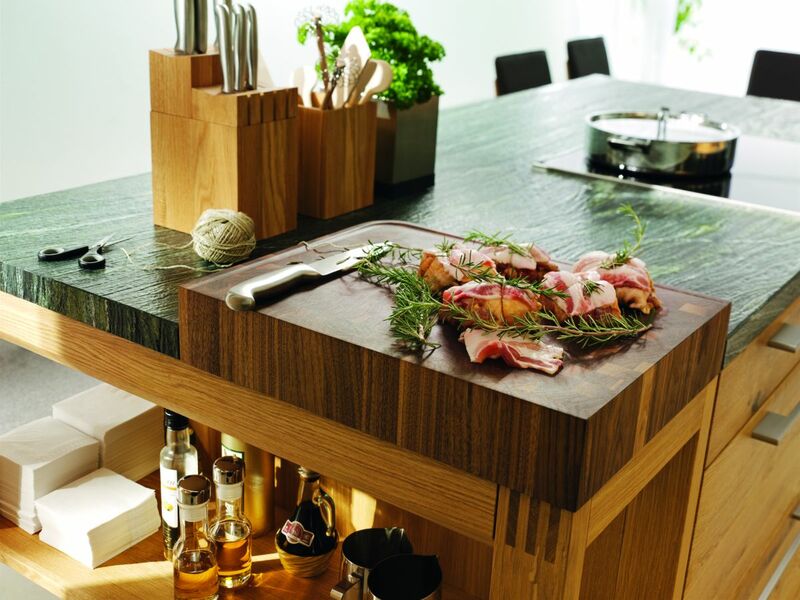 This is a kitchen that adapts to its user, allowing the worktop to the adjusted precisely to maximum comfort and in compliance with each individual’s ergonomic requirements. 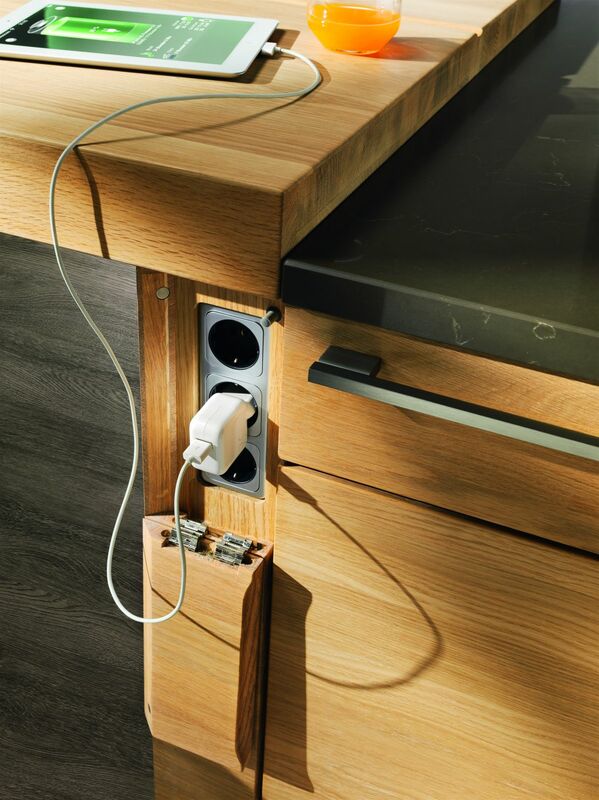 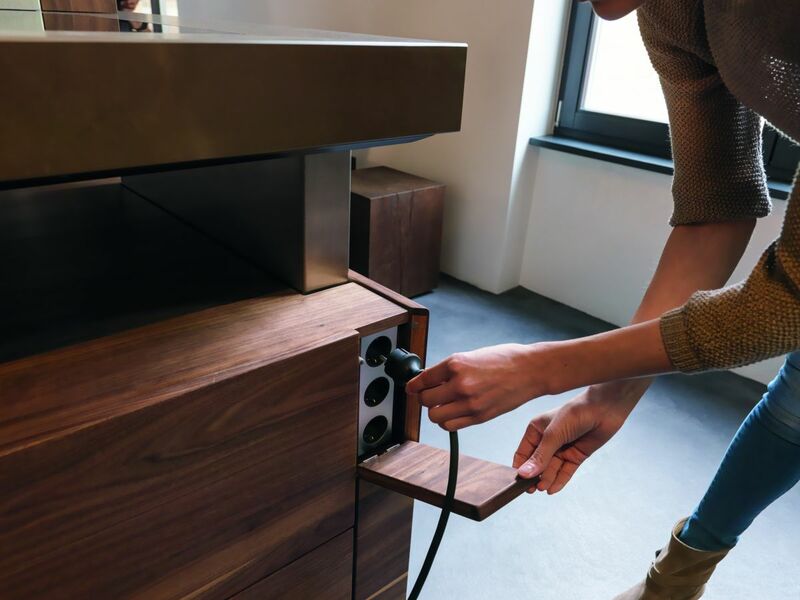 That’s possible thanks to the lift technology patented by Team 7, the system being seamlessly integrated into the metal band and revealed with a light tap. 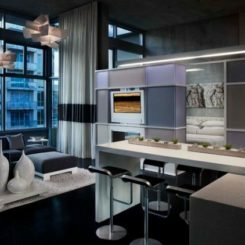 This amazing kitchen island table is the centerpiece of the collection, being complemented by a less spectacular but definitely elegant, refined and worthy of praise storage unit which combines different-colored cabinet fronts for a subtle contrast as well as open and closed storage modules for diversity. 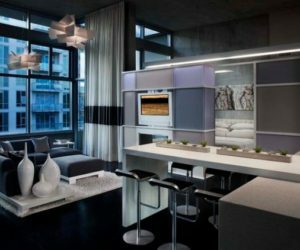 It’s all about convenience and comfort and, of course, the aesthetic is spot on, as always.